In Keys of the Kingdom, Gregory Peck plays Father Chisolm, a young, humble, authentic priest who is sent to China after a lack of success in his home of Scotland. His mentor, a bishop feels Fr. Chisolm will thrive in China. The story’s told in flashback. It begins with an old Fr. Chisolm getting reprimanded and told his unorthodox teachings are forcing him to be removed from his hometown parish. The bishop who makes this threat is staying at Chisolm’s rectory. Before he goes to sleep, he picks up Fr. Chisolm’s memoirs and reads of his extraordinary life. Chisolm’s father and mother were killed in a riot against Catholics. He’s brought up by and aunt and almost marries as a young adult but circumstances lead him to stick with his choice of the priesthood. As a young priest, his parishioners don’t appreciate his questioning and some of his theology. His mentor has a hunch that Fr. Chisolm would be right for a deserted mission in China. When Fr. Chisolm arrives in rural China, every believer has left as they really only came for the free rice. The church is in ruins. Slowly, Fr. Chisolm rebuilds and stays true to his principles and beliefs even if it means losing the church or being treated like an inferior by a haughty former classmate. I have such an appreciation for anyone who pulls up stakes and moved to Asia before the comforts and connections of our era. No internet, reliable heat or a/c, few books or letters from home must have taken ages. At one point the political climate in China shifts and warlords threaten the mission. I found the movie compelling and was better than average for avoiding the stereotypes so common in the 1940s. His performance is carries the film and I would never have guessed it was Peck’s second film. It seemed like a biography, but apparently it’s based on a novel, not a real life. My only complaint is I wish they hadn’t skipped through the years of turmoil and war in China. They show early 20th century violence, but explain and show little of the revolution that erupted. The film jumps from one attack when Fr. Chisolm was probably in his late 30s to Chisolm as an old man. By weaving in Fr. Chisolm’s ecumenical beliefs and his strong friendship with an atheist, the film feels modern. 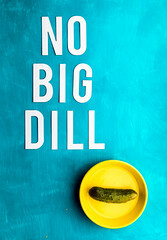 I thought this would be a biopic, but it isn’t, or not traditionally so. Get Brother Sun, Sister Moon if you want to see how Francis became a Saint. Watch this to get a feel for his life, for his approach to prayer and spirituality. 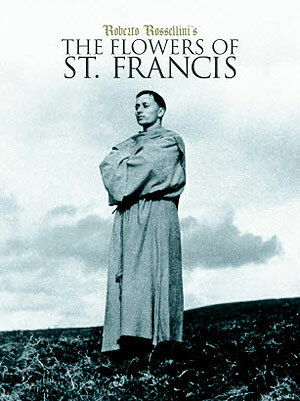 Directed by Robrito Rossellini, written by Federico Fellini, this gentle film about a great saint, The Flowers of St. Francis shows 12 vignettes of Francis and his followers. 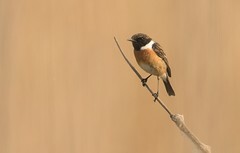 It’s gentle, serene, humbling and at times funny. Francis’ humility, and connection to God come through clearly. He’s so patient with his men, some of whom would make me tear my hair out like Br. Ginepro, who creates trouble by stealing a pig’s foot from a live pig. Ginepro was my second favorite character as he’s funny, but also so sincere. Ginepro just lacked wisdom at first, but his capture by barbaric rebels was probably the pinnacle of the film. The Flowers of St. Francis is well worth anyone’s time. On Wednesdays, Judy, creator of an inspiring blog, A Thankful Woman’s Book of Blessings encouraged participants to list their blessings, to give thanks for the five things in the past week and then link to her blog. Judy has since stopped blogging, but giving thanks is a good spiritual practice so I’ll continue. 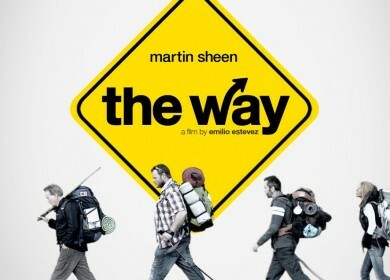 The Way, a film with Martin Sheen about a grieving father who hikes along the Way of St. James in Spain. A safe and interesting trip to Champaign, Illinois for my Library Science orientation. Winter comfort food like chicken and dumplings or pot roast. My friend Mary, from high school. Though she’s moved far away we’re still on the same wavelength. She’s going through a tough time and I pray it doesn’t last much longer. She’s a dear person. Old priests. Where would we be without them? The priest who said mass Sunday was ordained in 1962 and one who came a few weeks before was in his late 80s. Still pretty lively. The beautiful snow we got on Christmas and on the 25th, just enough to make everything pretty, but not make driving hazardous. The documentary film Ai Wei Wei: Never Sorry. It’s a bracing film about an artist who sicks his neck out to make China more transparent and democratic. Christmas cookies. We still have loads and I’m glad God gave me some discipline so I’m not gobbling them all up. The afternoon tea I got to enjoy with my friend Theresa who’s in from out of town and Sheila. Tea is so civilized. All the men and women, police, military, firefighters, who sacrifice so that we’re safe.